If the partition boot sector becomes corrupted or misconfigured in some way, Windows will not be able to start properly, prompting an error like BOOTMGR is Missing very early in the boot process. The solution to a damaged partition boot sector is to overwrite it with a new, properly configured one using the bootrec command, a relatively easy process that anyone can do. The following instructions apply only to Windows 10, Windows 8, Windows 7, and Windows Vista. Boot sector issues also occur in Windows XP but the solution involves a different process. See How To Write a New Partition Boot Sector in Windows XP for help. Start Advanced Startup Options (Windows 10 & 8) or System Recovery Options (Windows 7 & Vista). The Command Prompt available from the Advanced Startup Options and System Recovery Options menus is similar to the one available from within Windows and works very similarly between operating systems. 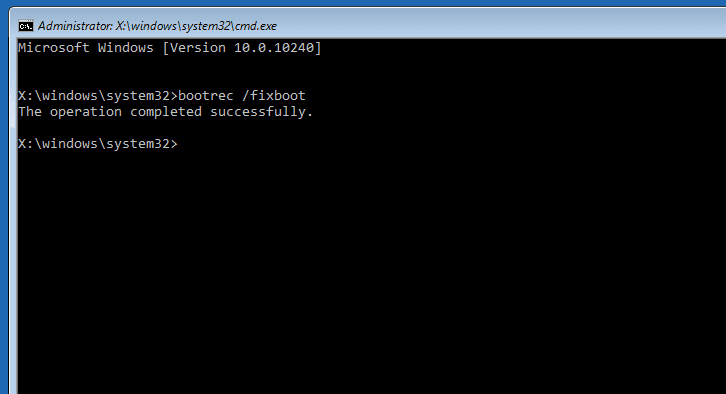 The bootrec command will write a new partition boot sector to the current system partition. Any configuration or corruption issues with the partition boot sector that might have existed are now corrected. and then a blinking cursor at the prompt. Restart your computer with Ctrl-Alt-Del or manually via the reset or power button. Assuming that a partition boot sector issue was the only problem, Windows should start normally now. If not, continue to troubleshoot whatever specific issue you're seeing that's preventing Windows from booting normally.